The Evoluent Vertical Mouse is by and far our best selling mouse and represents an excellent value. For starters, it is the only approved ergonomic mouse of University of California at Berkeley. 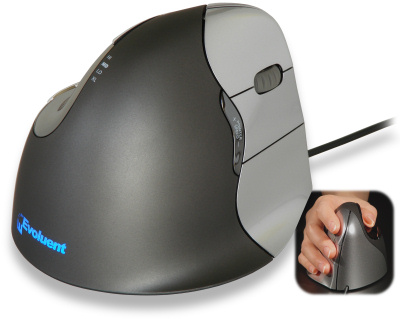 The Evoluent Vertical Mouse 2 was evaluated in 2007 by a team at the health services clinic in UC Berkeley, including medical doctors, physical therapists, ergonomists, and administrators. It was found to be comfortable and easily adapted to, and the Evoluent Vertical Mice promote a neutral wrist and forearm posture. It is the only vertical type mouse approved for staff use within UC Berkeley and for sale in the campus store.